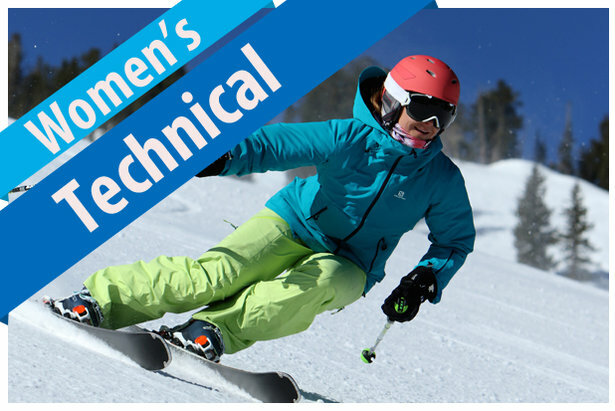 When is a women’s ski not a women’s ski, yet is a women’s ski? When it’s a women’s Big Mountain ski. 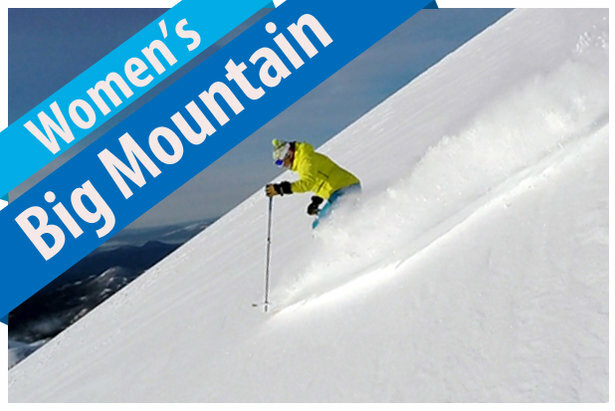 The requirements for Big Mountain skis and the usual adaptations made for women are identical. Once a designer has sliced away every extra gram so that super-wide skis don’t weigh as much as a refrigerator, it doesn’t matter which gender hops on board. Such niceties as binding position matter less on fully rockered skis (how can you pressure a tip that isn’t there? ), and lifting any part of the skier off the deck is generally avoided on skis wider than 90mm at the waist. Why, then, do women-specific Big Mountain skis even exist? Topsheet aside, it’s so women have a range of smaller sizes to choose from, primarily. New members of the women’s Big Mountain sorority are Blizzard’s Sheeva 10 and Sheeva 11, sporting D.R.T. technology that adds a dose of Titanal to a wood and carbon frame. A rejuvenated Völkl 100 Eight W features 3D.Glass, an extra fiberglass laminate that injects life and power into every turn. With profuse apologies to our readership, the scarcity of data on women’s Big Mountain models prevent us from presenting Power and Finesse statistics based on gossamer-thin results. We didn’t want to disappoint our female followers, so we’ve selected five models to represent what ought to be a much larger field. The good news hidden in this footnote is that men’s and women’s Big Mountain models are often identical except for sizing. The Women’s Big Mountain ski reviews are provided by our equipment experts at Realskiers.com, powered by Masterfit. Which Ski Is Right for You?